We’ve had an extremely mild winter this year in the Midwest. It hasn’t been too cold. There’s barely been any snow (we haven’t had to shovel our parking space once), and last week it was in the sixties! I wore my flip-flops outside and was comfortable…in February! Most of you are probably thinking, “That’s great!” Me? I’m always in the mood for a good snow storm! 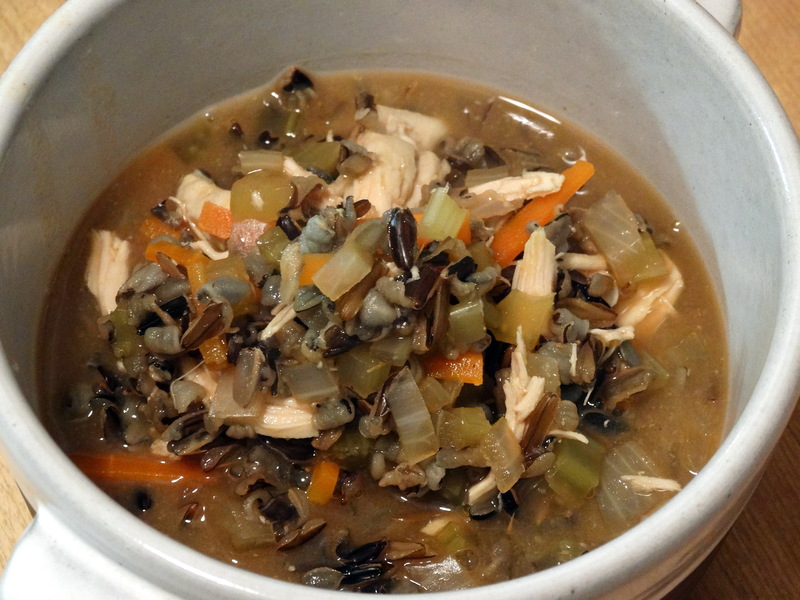 Back to this week’s post: Chicken Wild Rice Soup. Your next grocery list should include chicken stock, wild rice, carrots, yellow onion, celery, dried thyme, boneless, skinless chicken breasts, salt, pepper, and miso paste. Soak 1 cup wild rice in water overnight. Use enough water to cover the rice by 2″. Add 2 quarts (8 cups) chicken broth to a large stock pot over medium heat. 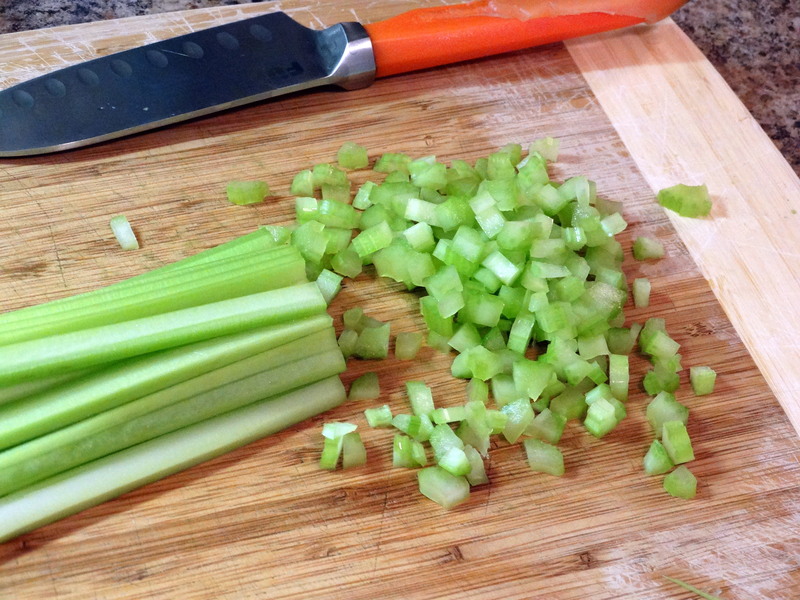 While your stock is heating, finely chop 4 celery stalks, julienne 2 medium carrots, and chop 1 cup yellow onion. 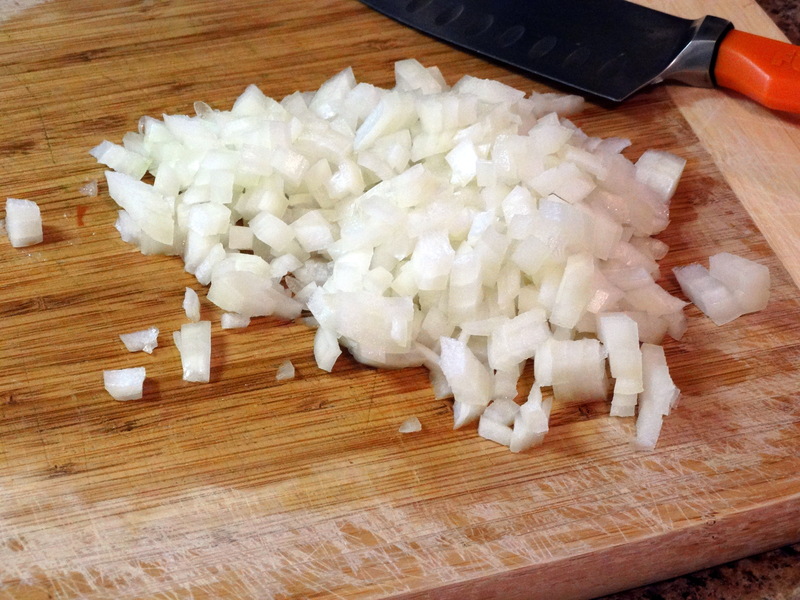 I know my chef’s knife is a disaster, but it’s my absolute FAVE and I just can’t let it go. As long as it keeps taking an edge, it’s what I’m using! 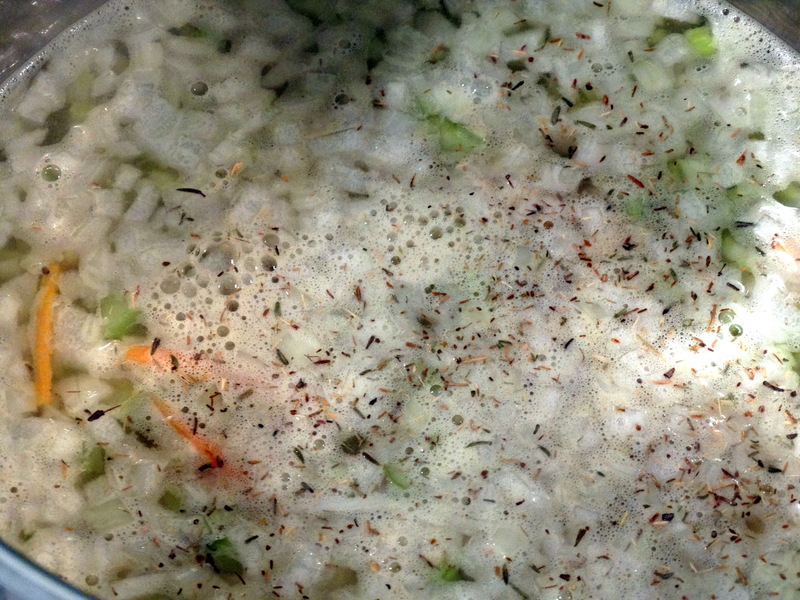 Add the chopped veggies along with the soaked wild rice to your stock pot. Sprinkle with 1 teaspoon dried thyme, then lightly simmer for about 20 minutes. While the soup is simmering, poach 2 boneless, skinless chicken breasts in a medium sauce pan. Add enough water to cover the chicken by 1 inch. Bring to a boil over medium-high heat, then reduce heat to medium-low, and cook 15-18 minutes, or until chicken is cooked through. Drain and shred the chicken using two forks or your hands—whatever your preferred method may be. Add the chicken, salt and pepper to taste, and 3 tablespoons miso paste to your soup. Stir to combine, then simmer for an additional 5 minutes. Serve and enjoy! This soup freezes well, so if you have leftovers, portion them out and toss them in the freezer for another day. 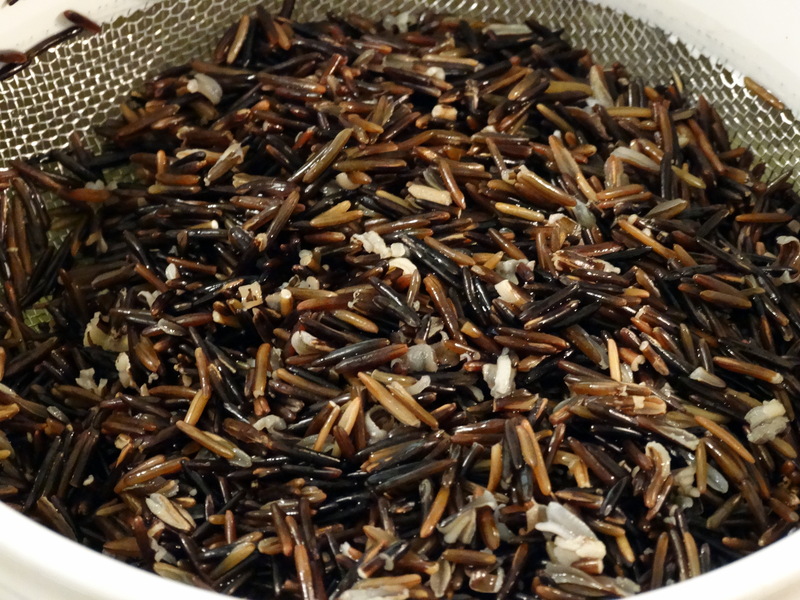 1) Soak 1 cup wild rice in water overnight. Use enough water to cover the rice by 2″. 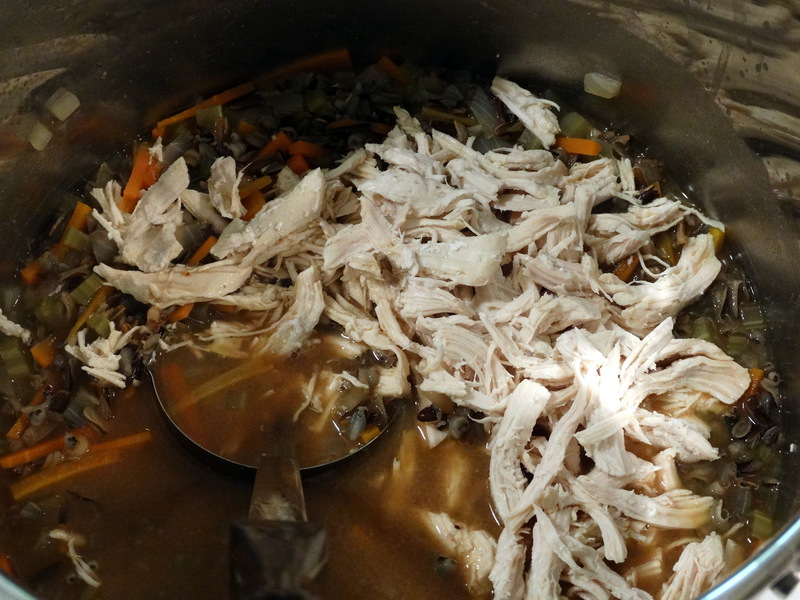 2) Add 2 quarts chicken broth to a large stock pot over medium heat. 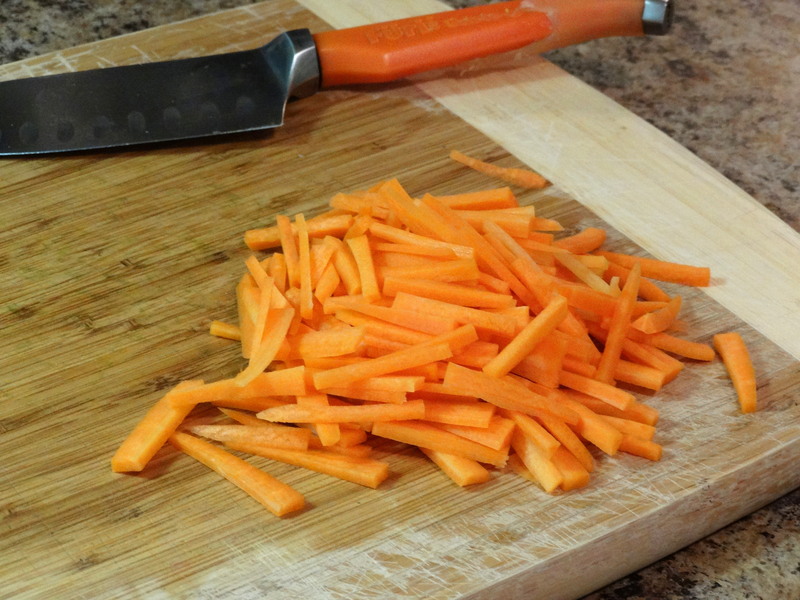 While your stock is heating, finely chop 4 celery stalks, julienne 2 medium carrots, and chop 1 cup yellow onion. Add the chopped veggies along with the soaked wild rice to your stock pot. Sprinkle with 1 teaspoon dried thyme, then lightly simmer for about 20 minutes. 3) While the soup is simmering, poach 2 boneless, skinless chicken breasts in a medium sauce pan. Add enough water to cover the chicken by 1 inch. Bring to a boil over medium-high heat, then reduce heat to medium-low, and cook 15-18 minutes, or until chicken is cooked through. 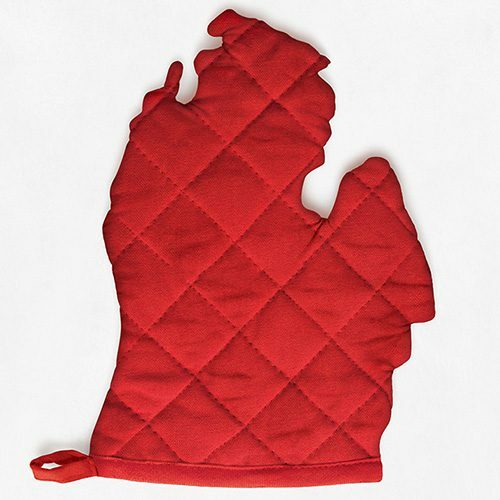 Drain and shred the chicken using two forks or your hands—whatever your preferred method may be. Add the chicken, salt and pepper to taste, and 3 tablespoons miso paste to your soup. Stir to combine, then simmer for an additional 5 minutes. Serve and enjoy!